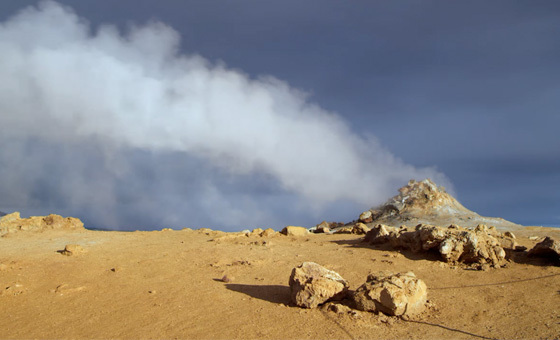 Iceland is one of the few countries in the world to generate all its energy from renewable sources such as water, geothermal energy and wind power. Landsvirkjun is owned by the Icelandic state and generates and supplies two thirds of the electricity in Iceland. We operate thirteen hydropower stations and two geothermal stations across the country, within five operational areas. The latest addition to Iceland’s fleet of hydropower stations is the Búðarháls Hydropower Station which began operations in March, 2014. Landsvirkjun’s vision for the future is to be a progressive international energy company within the field of renewable energy. There are 250 employees at Landsvirkjun and each one is committed to making Landsvirkjun a leader in the sustainable use and sale of renewable energy sources. The Búðarháls Hydropower Station is the newest addition to Iceland’s fleet of hydropower stations. The Station was started-up in March, 2014 and will generate approximately 585 GWh of electricity, per year, for the national grid. The Station is the 7th largest power station in Landsvirkjun’s ownership, within the Þjórsá- and Tungnaá River water catchment area. The Station will create immense value by utilising the 40 metre head in the Tungnaá River, from the tailwater of the Hrauneyjafoss Power Station to the Sultartangi Reservoir. The water source for the Þjórsá and Tungnaá water catchment area originates from the Hofsjökul and Vatnajökul Glaciers where the water drops from a height of 600 metres, supplying six hydropower stations, before making its final journey to the sea. The Búðarháls Hydropower Station utilises the 40 metre head in the Tungnaá River from the tailwater of the Hrauneyjafoss Power Station and to the Sultartangi Reservoir. Water is stored for supply in the Þórisvatn, Hágöngulón and Kvíslaveita Storage Reservoirs. 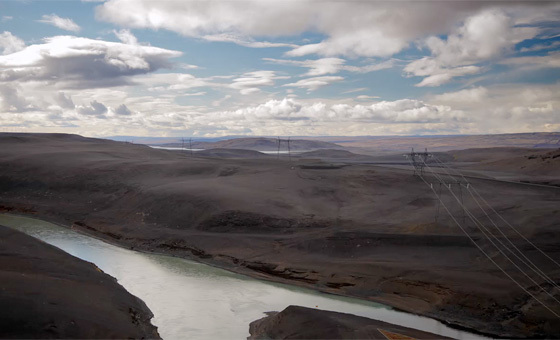 The Þjórsá and Tungnaá water system is characterised by the fact that each reservoir connects to the next and between reservoirs, there are power stations utilising the falling water to generate power. The Búðarháls Power Station is part of a large-scale supply system in the Þjórsá and Tungnaá water catchment area which overall generates approx. 6,250 GWhr of energy annually. Locating the new station within this area meant less disruption than developing a power project in a new area. All aggregates for concrete work were available from sources in close proximity to the station and older quarries were utilised. These factors ensure efficiency in operations. At the height of construction work, nearly 400 employees were involved in the construction of the Búðarháls Hydropower Station and nearly half of the workforce was provided by the main contractor. The measured labour force for the Búðarháls Project was approx. 900 man-years. Construction work on the Búðarháls Project was completed in 2013 and the next few months will see the removal of work camps and the clean-up and landscaping of the areas around the Station’s structures. 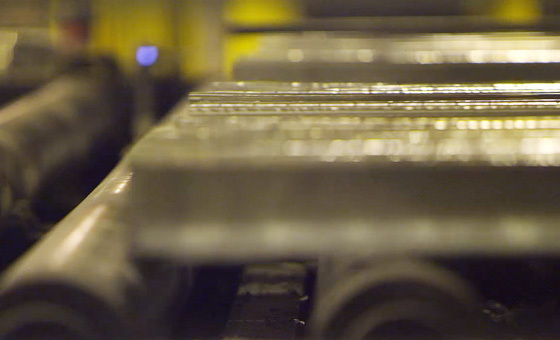 At Landsvirkjun, our role is to maximise the potential yield and value of the natural resources we have been entrusted with, in a sustainable, responsible and efficient manner. Ensuring efficient energy production and development, purposefully building an extensive and diverse client base and seeking out new business opportunities, by connecting with the European energy market, are all key factors in fulfilling this role. Landsvirkjun encourages consensus and support by promoting open and informed communication and is committed to the professional development of its employees. Landsvirkjun’s vision for the future is to become a progressive, international energy company, in the field of renewable energy. Landsvirkjun’s role is to maximise the potential yield and value of the natural resources it has been entrusted with, in a sustainable, responsible and efficient manner. Landsvirkjun plays an important role within society and gaining an understanding of the views and interests of those affected by its operations is crucial to the Company. A survey conducted for Landsvirkjun in 2012 showed that approx. 45% of respondents believed that Landsvirkjun did not promote transparency and open communication, in its operations. The results encouraged the Company to do better and to make a concerted effort in creating effective communication strategies, with stakeholders, and to support open communication on issues pertaining to the Company’s operations. We launched the project “This is Landsvirkjun” last year, the aim of which was to facilitate public knowledge on Landsvirkjun’s operations, their marketing priorities and research conducted on natural resources and the environment. We responded to the call for better communication by opening up our Annual and Autumn Meetings and streaming them live via the Company website, where all the relevant information on the meetings was accessible. The Autumn Meeting also gave those unable to attend the opportunity to send questions, via Landsvirkjun’s Twitter account. Over 500 people attended Landsvirkjun’s Autumn Meeting at Harpa last year. 1000 people watched the meeting live, via Landsvirkjun’s website. Landsvirkjun opened its doors to guests, once again, last summer. Visitors were given the opportunity to familiarise themselves with our operations and to gain insight on electricity generation from renewable energy sources. 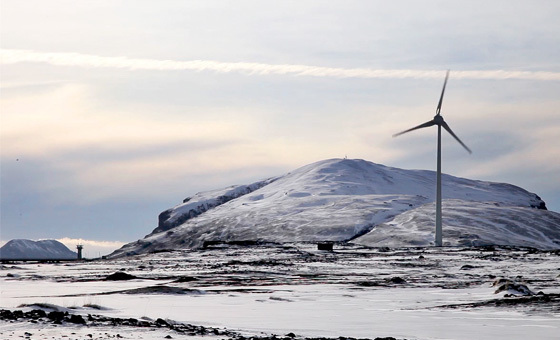 There were over 23,000 visitors to Landsvirkjun’s Visitor Centres and the new wind turbines at Hafið received particular attention this year. Last year, Landsvirkjun and the Institute of Economic Studies joined forces in an effort to support and encourage research within the field of business and economics, pertaining to energy generation. The objective is to advocate research within these particular areas and to subsequently increase public awareness on the significance of these factors with regard to the economy. Landsvirkjun will support the research by contributing 8 million ISK per annum for three years consecutively. Landsvirkjun has been awarded the Gold Standard by PWC, for wage equality. The results of the 2013 PWC audit showed that the fixed salary rate for women is generally slightly higher than that of men, whereas the overall salary is slightly higher for men. The difference is well below the 3.5% requirement set out by PWC, in order to achieve the Gold Standard. The number of women in management and specialist roles at Landsvirkjun has increased. We are proud of the fact that our policy on gender equality is proving successful and we intend to purposefully continue this work in order to ensure that both men and women enjoy access to a competitive and vibrant working environment. Landsvirkjun’s policy is to secure gender equality and to offer equal opportunities, without discrimination. The results of the 2013 PWC audit showed that the fixed salary rate for women is generally slightly higher than that of men, whereas the overall salary is slightly higher for men. The Gold Standard was awarded to Landsvirkjun as PWC found the gender wage difference at Landsvirkjun to be only 1.6%. The difference is well below the 3.5% requirement set out by PWC, in order to achieve the Gold Standard.